¶ 9 Leave a comment on paragraph 9 0 While the SDPA claimed that all collectors viewed the Trans-Mississippi issues as speculative and unnecessary, collectors themselves were conflicted. One individual wrote to the Philatelic West describing his or her joy in collecting commemorative stamps as soon as they were issued. Editors of the Virginian Philatelist endorsed the Omaha Exposition stamps and revealed that they had received only one negative response from a subscriber. These conflicts reflect some growing pains appearing in the philatelic world as it expanded. Philatelic clubs like the American Philatelic Association tried to grow their membership and attract new collectors to the hobby even as members rejected new commemoratives that drew more attention to philately. As the popularity of philately increased, hundreds of philatelic journals circulated around the world, a trend that disturbed some collectors and philatelic journalists.4 The once small intimate community of collectors had grown and those collectors felt conflicted by its growth and the interest shown by USPOD. ¶ 10 Leave a comment on paragraph 10 0 Another reason some collectors hesitated to accept what they viewed as an excessive number of commemorative stamps related to an incident resulting in a stamp market flooded with reprints from Nicaragua, Salvador, Honduras, and Ecuador. This flood resulted from a deal made by Charles Seebeck, an officer of the Hamilton Bank Note Company, who offered to print stamps for no charge to the afore mentioned countries. These stamps, however, actually expired, which was an uncommon practice. 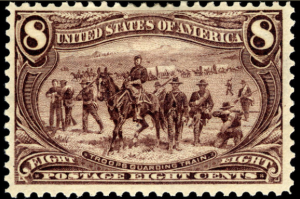 A U.S. two-cent stamp issued in 1898, for example, may be affixed to a letter today and combined with other stamps to mail a first-class letter. A Seebeck print, however, was invalid a few years after issued. After the expiration date, Seebeck received permission to reprint that same stamp using the original engraving plates, and he sold those issues to collectors, speculating that the sales covered his costs. Seebeck’s plan resulted in thousands of Latin American stamps entering the stamp market between 1890 and 1898. After Seebeck’s death in 1899, a speculator bought the remaining unused reprints—all ninety million of them—and sold, traded, and gave them away. Many of those reprints landed in starter stamp packets geared to generating interest in young collectors.5 Concerns over the Seebeck issues certainly colored philatelists’ opinions about new commemorative stamps. ¶ 11 Leave a comment on paragraph 11 0 Dealers in particular charged all governments with trying to fleece collectors by printing stamps with “fancy designs” that they saw as unnecessary for regular postage. The SSSS and SDPA did not discriminate in their criticism of stamp issuing-nations like others did, because they seemed to be motivated mostly by economic factors and a desire to keep the stamp market controlled by dealers. Oddly, many dealers lacked enthusiasm for commemoratives that drew more people into the hobby of collecting and even argued that jubilees turned people away. One philatelic editorial illuminated this hypocrisy by criticizing dealers for giving away stamps in chewing gum and cigarette packages one minute, while protesting commemorative issues that might more easily attract more collectors another. 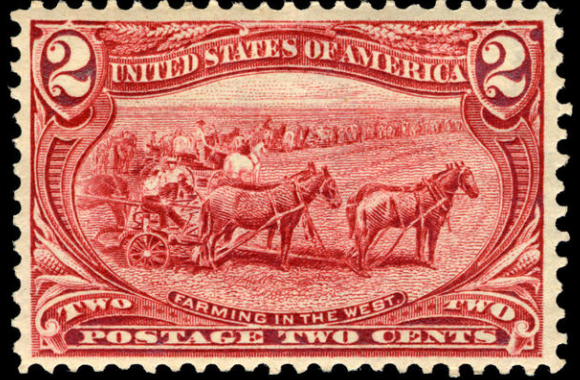 It was said that limiting the issues of US commemorative stamps, such as for the Pan-American Exposition and Louisiana Purchase, drew enough attention to stamp collecting and would not “fail to be of material value in advancing the collecting hobby, and one which could hardly be termed speculative.”6 In theory, the injection of stamps into the market that brought new collectors would have given dealers a larger pool of people from which to do business—in person or via the post. Instead, they resisted an expansion and fought the producers of stamps by attempting to maintain their stronghold on the stamp market. ¶ 12 Leave a comment on paragraph 12 0 As philatelists argued among themselves over the appropriateness of the USPOD’s Trans-Mississippi commemoratives, a discussion emerged about the political and cultural status of the U.S. in their rhetoric. The timing of this particular protest is quite striking. This series specifically commemorated an Exposition that celebrated European migration to and conquest of territories across the middle section of the continent home to many Native Americans. Concurrently, the U.S. and its military reached beyond the continental borders to invade and occupy sovereign nations and former European colonies in the Caribbean and Pacific. 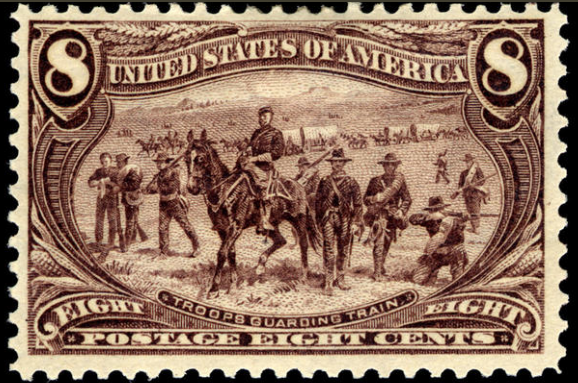 In defending the USPOD’s production of American commemoratives, stamp columnists and editors stated that the U.S.’s large population required postal services “greater than any other nation on earth” and was “privileged to some philatelic things without censure.” But, “petty states of Asia and Africa,” or “some little bankrupt country” should be rebuked for issuing non-essential postage for the purpose of bringing in revenues.7 The Seebeck issues were no doubt in the minds of some philatelists who held that the United States was unique and should be able to produce postage stamps for whatever purpose postal officials saw as necessary. ¶ 13 Leave a comment on paragraph 13 0 This exceptionalist argument did not merely apply to international philatelic matters, but was another extension of the constructed racial and economic privilege imagined especially by architects of American foreign policy.8 Stamps commemorating American world’s fairs celebrated empire and conquest and promoted scientifically-based racial hierarchies leaving “petty states of Asia and Africa” at the bottom, while white America and western Europe rested at the top. Prevailing attitudes towards other nations’ racial composition affected how stamp collectors viewed a state’s ability, or right, to print commemoratives. ¶ 14 Leave a comment on paragraph 14 0 We hear in this rhetoric that collectors believed they influenced the production of stamps and decisions made by governments about their postage, but not everyone agreed. Mekeel’s editors thought it was absurd of the SSSS and the SDPA to think that postal officials would pay attention to philatelists’ protests over stamp production, or that the USPOD would print stamps specifically for collectors. From their observations, Mekeel’s editors believed the USPOD, “almost invariably snubbed collectors wherever possible and given us plainly to understand that it looked upon us with suspicion.”9 True or not, the editors of a major philatelic paper believed the USPOD was oblivious to their pursuit. ¶ 16 Leave a comment on paragraph 16 0 And expand, it did. 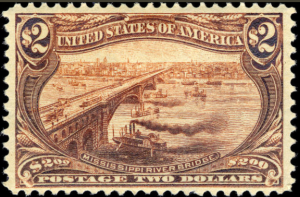 From 1892 to 1919 the USPOD printed 47 different commemorative stamps, almost exclusively to celebrate world’s fairs or regional expositions, including the Trans-Mississippi Exposition (1898), Pan-American Exposition (1901), Louisiana Purchase Centennial (1904), Jamestown Tercentenary (1907), the Alaska-Yukon-Pacific Exposition (1909), Hudson-Fulton Celebration (1909), and Panama Pacific Exposition (1915). After projected revenues from the Columbians fell short of Wanamaker’s 2.5 million dollar estimate, postal officials commissioned more conservative numbers for all other commemoratives and shortened the period of availability for future series from a year to a few months. Though not attracting nearly as much publicity, these stamps were collected and considered successful endeavors.11 Governments noticed collectors and dealers of stamps and began targeting them for sales. 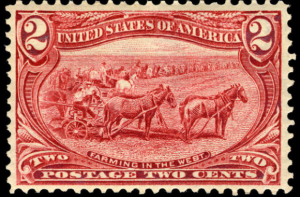 Despite resistance from philatelists to be viewed as consumers, ultimately they could not prevent governments from printing scores of commemorative stamps.